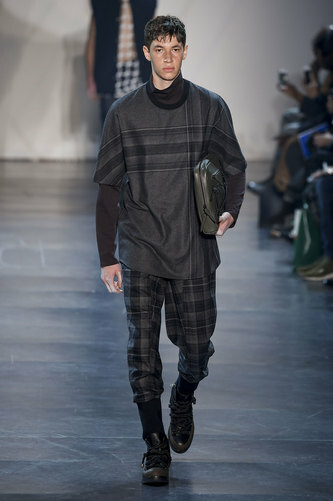 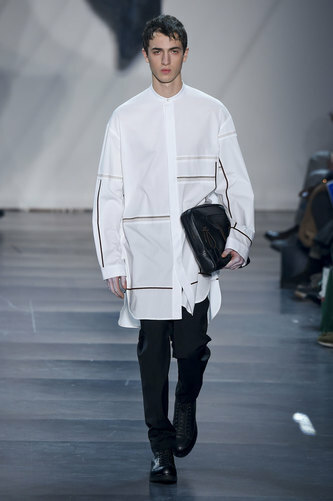 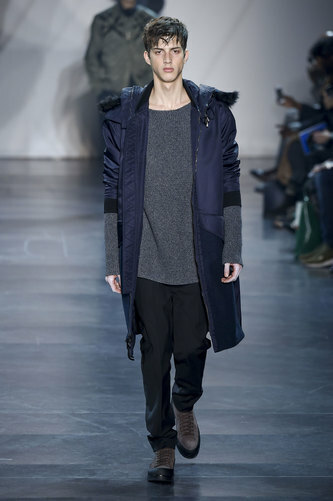 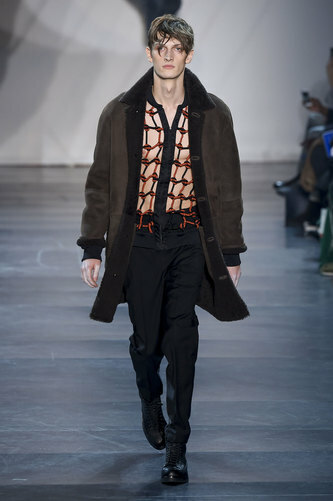 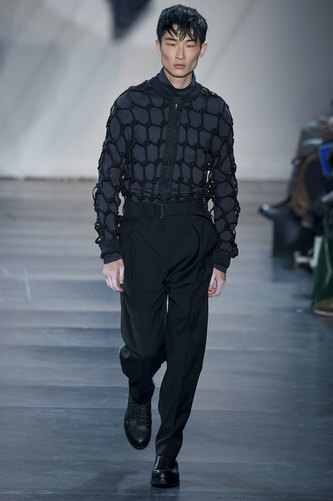 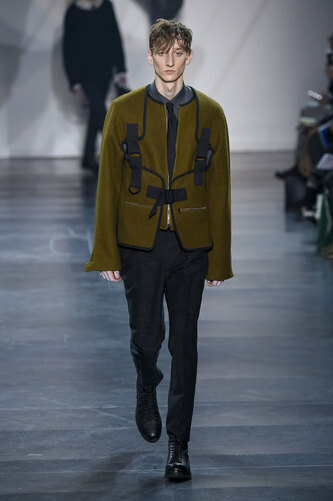 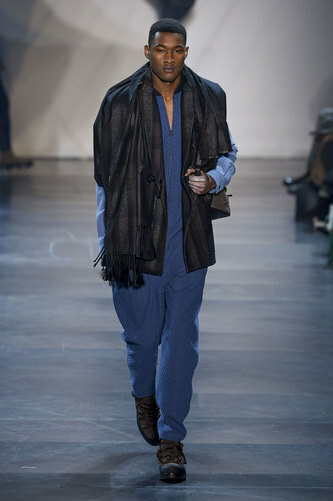 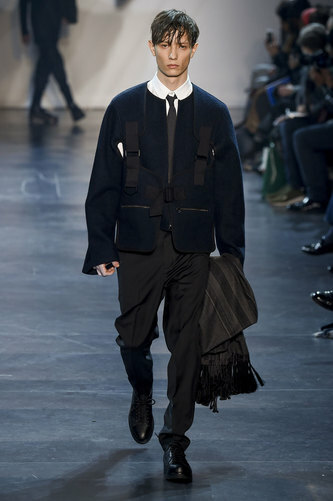 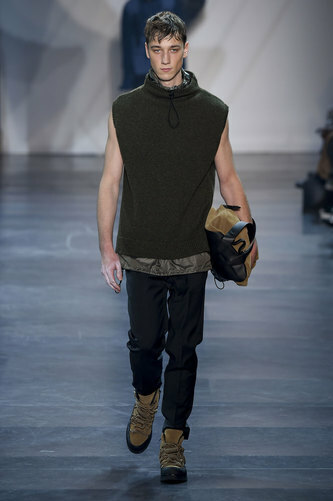 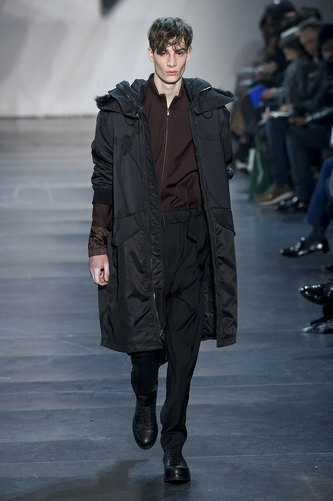 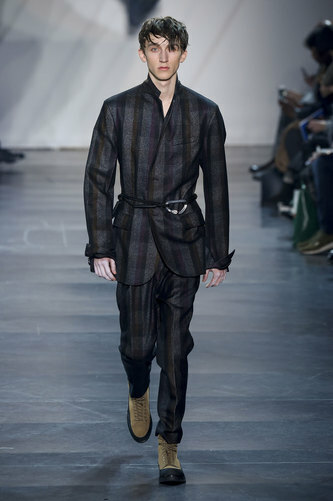 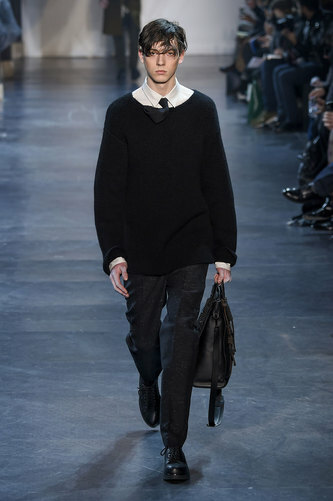 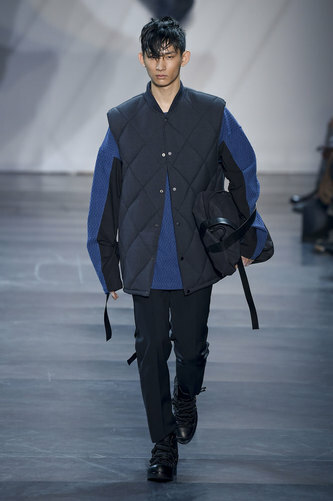 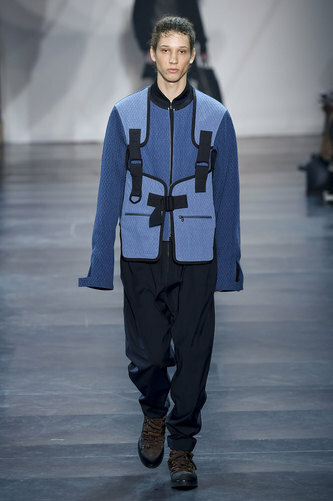 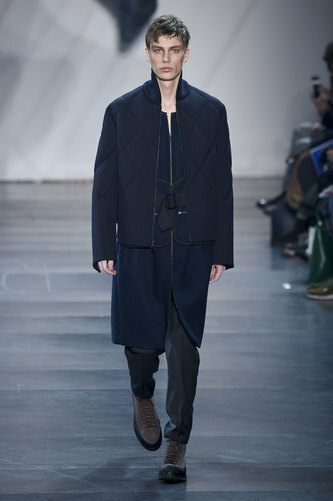 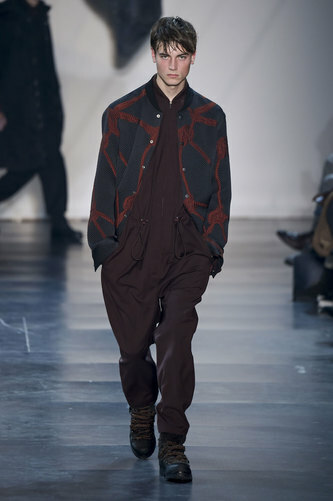 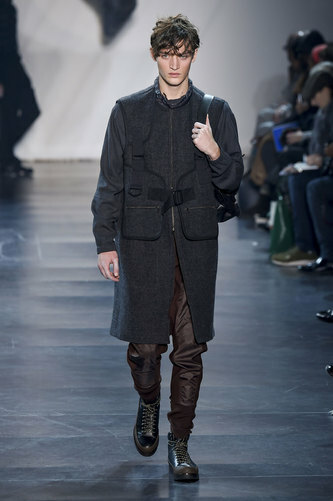 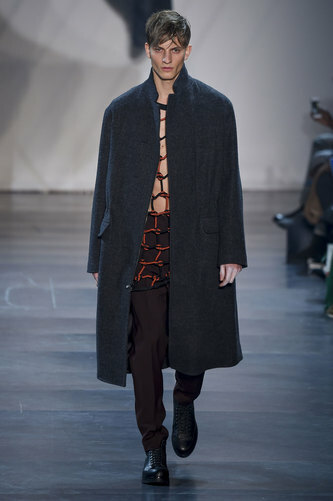 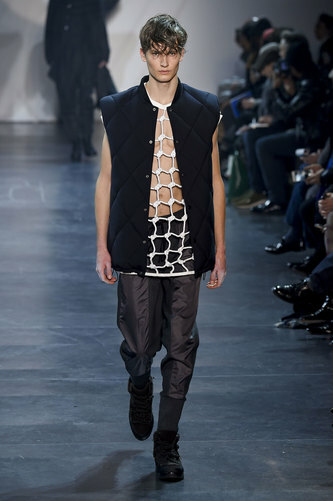 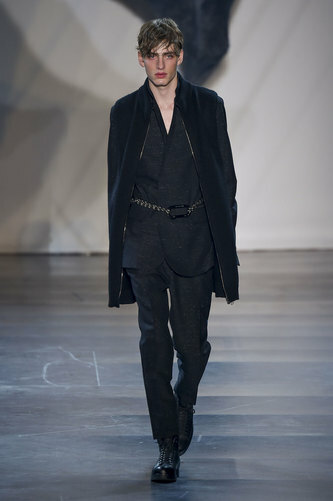 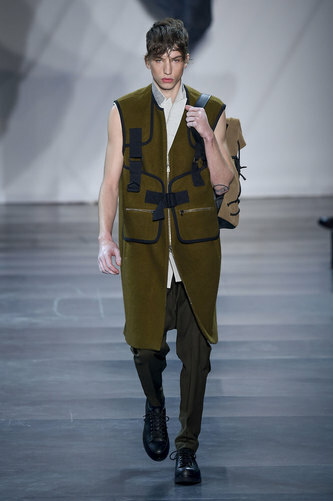 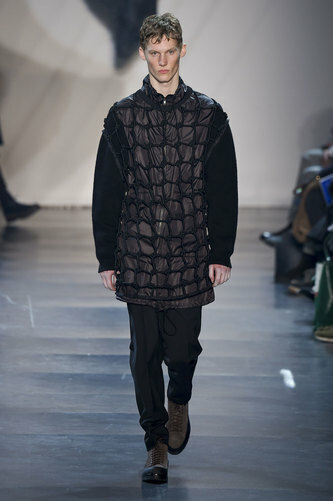 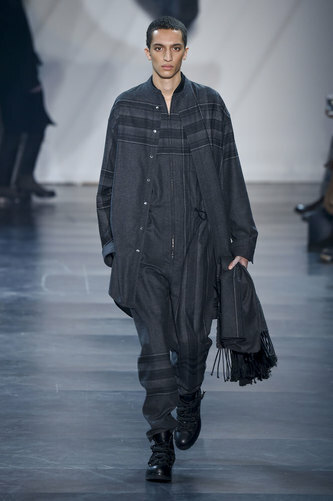 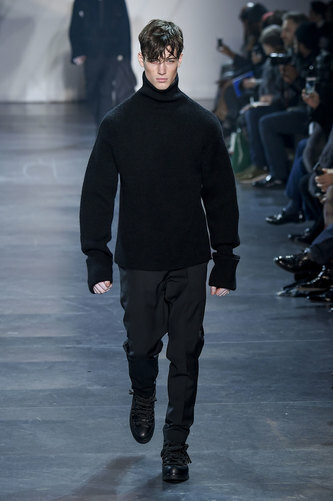 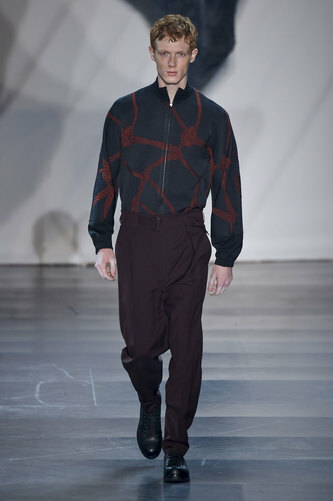 Phillip Lim Man Autumn-Winter 2015-16 – Phillip Lim’s eccentric line takes us to the great outdoors and beyond. 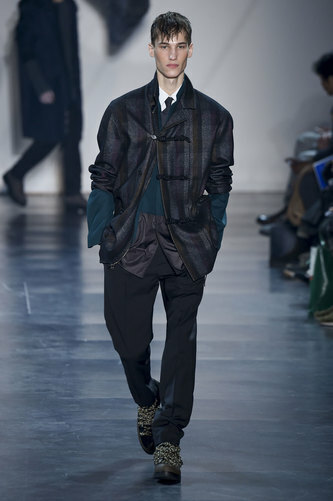 The khaki green tweed against the speckled fabric of the grey/ black brushed trousers adds depth; the use of clips to fasten the outfit sculpts the finished look into one. 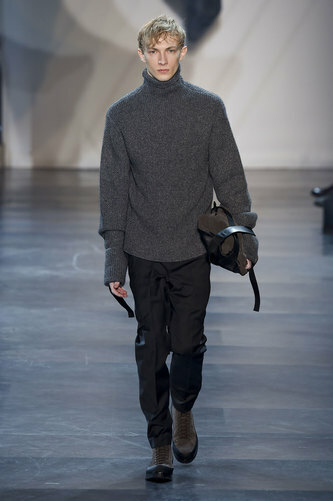 Layering and straight cut items are another contribution to this line; whilst still preparing for the weather for the colder seasons. 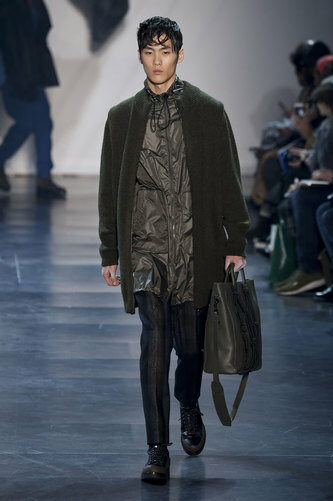 The waterproof material emphasises a practical image, whilst the over-sized jacket keeps it refreshed. 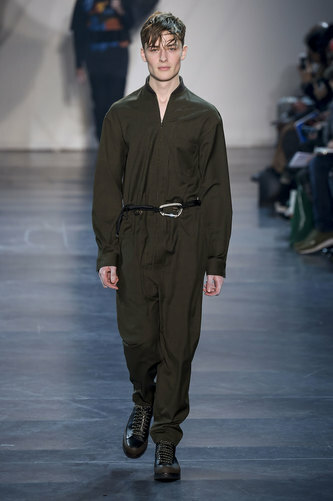 One way to touch up your outfit when layering is not only to blend it with many different fabrics but you can also take tips from Phillip and add a masculine belt. 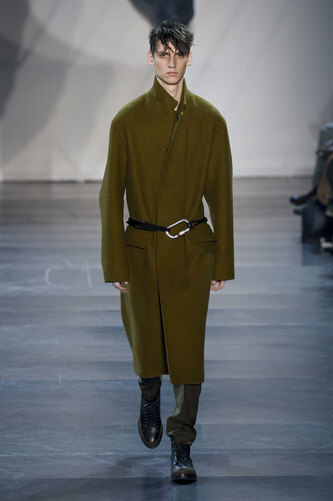 The belt draws the eye line to its position, which defines the masculine figure and structured shape. 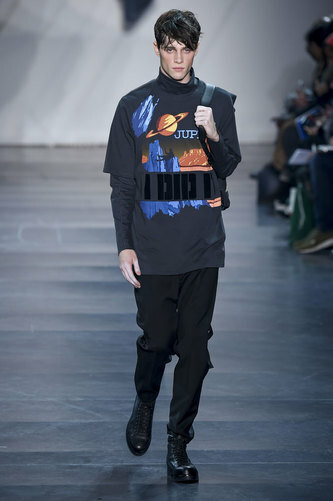 Bunch up the fabric around the belt also for a larger effect. 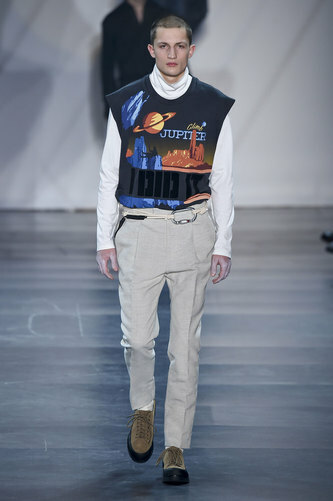 Another way is to blend long sleeved tops with t-shirts and jackets; opt for a sci-fi themed t-shirt for a more youthful and curious look.